Wide range of Free standing Marquees 9m wide for the large back yard parties, or for the public events. 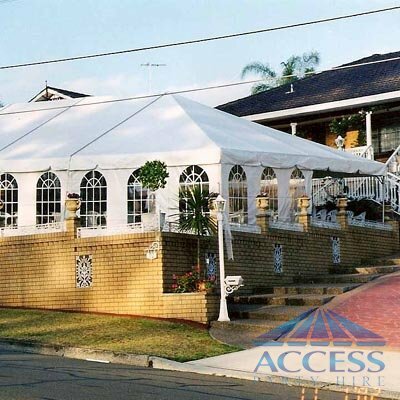 Access Party hire provide wide range on Marquees 9m wide for the large back yards parties, or for the public events. Weddings, Engagements, Birthday parties, Christmas parties, Kids parties, Festivals and any other events at your back yard would be run perfect with Marquee 9m wide up to 30m long. Suitable for up to 400 guest at your back yard seating with chairs and tables inside Marquee 9m wide.